Welcome to London, capital of United Kingdom. 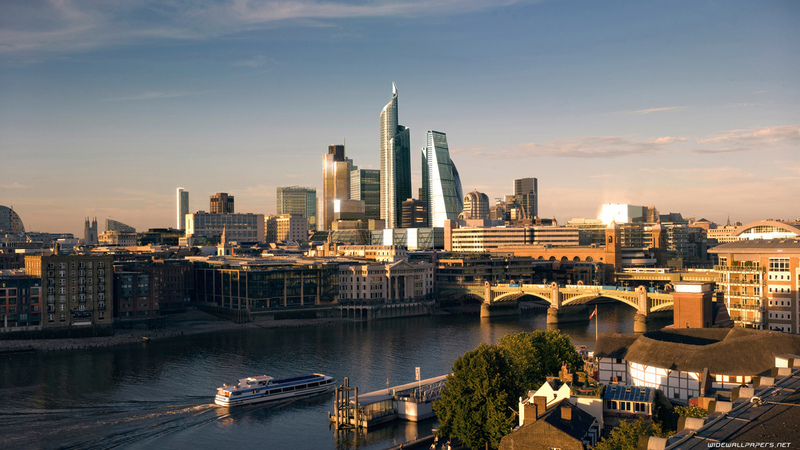 Be amazed by the breath taking view as you ride the London Eye. Bon voyage! On arrival, you will be greeted by our representative outside the baggage hall. We shall then proceed to your conveniently located hotel and check-in first. Freshen up and relax in the comfort of your hotel room. Later, we take you on the famous London Eye – one of the world’s largest observation wheels. 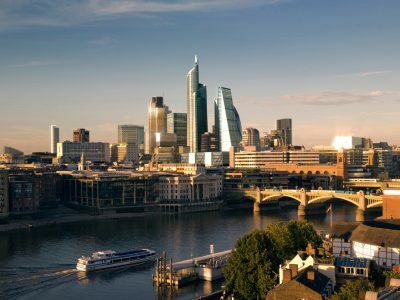 Be enchanted by this new and novel way of seeing the city from a bird’s eye view, as the London Eye takes you on a 30 minute flight, rising to 450 feet above the river Thames as the panorama of some of London’s most famous streets, churches, palaces and monuments are spread out before you. Tonight, enjoy an Indian dinner before you return to your hotel. After a buffet breakfast, we leave for a guided city tour with an expert English-speaking guide who will explain to you all the highlights of London’s landmarks: the Changing of Guards at Buckingham Palace, Hyde Park, the Big Ben, Westminster Abbey, Houses of Parliament, Trafalgar Square, Piccadilly Circus, Tower Bridge, River Thames, National Gallery, National Marine time Museum, St paul Cathedral, Victoria and Albert Museum, goldsmith Hall, crystal palace park and many more. We next visit The Tower of London from outside. After lunch, next visit the famous Madame Tussaud’s wax museum. 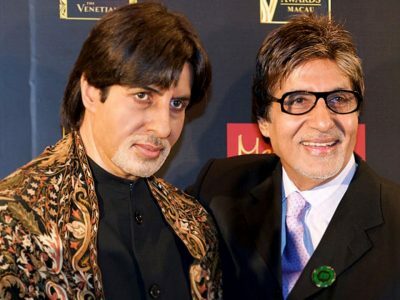 This museum houses a unique collection of world’s largest wax works of famous personalities, including India’s top leaders and film stars. After a nostalgic evening, proceed to the restaurant where a delicious Indian dinner awaits you. Get set for the ride of the Euro Tunnel. Bien Venue! Welcome to the city of glamour –Enjoy the sights of Paris on a guided city tour. Enjoy a breathtaking view of Paris from the top of Eiffel Tower (2nd Level). This morning, after a buffet breakfast at your hotel, check out and drive to Station. 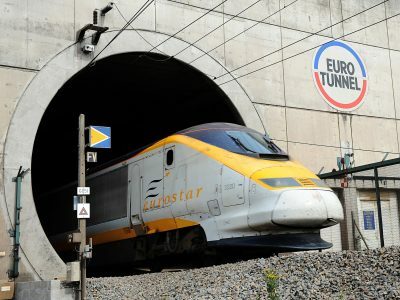 Here, you will board the Euro Tunnel, one of the world’s fastest trains. On arrival into Paris, enjoy a delicious Indian meal for lunch. Later we will take you on an exhilarating city tour with an English-speaking local guide, who will show you many of the best-loved Parisian sights – Alexander Bridge, Arc de Triomphe, Concorde Square, Opera House, Invalides, Champs Elysees, Parc de la Villette, the love wall, The Cathedrale Notre Dame de Paris, Atelier Brancusi, The square Du Vert Gallant, Canal St. Martin, Le Marais, Jardin Des Tuileries and many more. We shall then proceed to visit the Eiffel Tower (2nd level), from where you will have a splendid view of this beautiful city. Later in the evening, you have a choice to enjoy hot Indian or local meal for dinner. 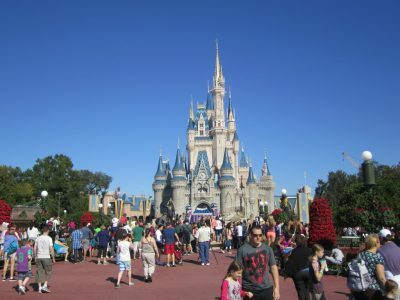 Today, have fun-filled trip to Disney Park. Enjoy a romantic cruise on river Seine. shows, watch a film being shot and see real-life sets where famous movies were created. Watch Disney characters and thrill yourself on a day full of excitement. Enjoy a romantic Seine cruise as we sail past some of the historical monuments on the river Seine. Tonight, enjoy a delicious Indian dinner. Guided tour of the magnificent Chateau of Chantilly. Then proceed to Brussels- Mannekin Pis Statue. 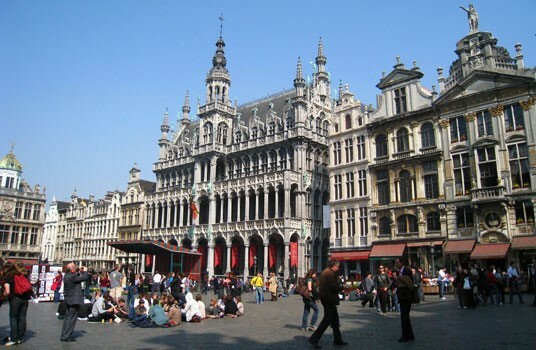 After a buffet breakfast, sit back and relax in your coach as we proceed to Brussels. Enroute, we will visit Chantilly, the largest princely estate in France. Here you will meet your local guide who will take you inside this beautiful 19th century Chateau which has been the stately residence of many great princes of France since the middle ages. You will visit some of the grand apartments inside the Chateau. 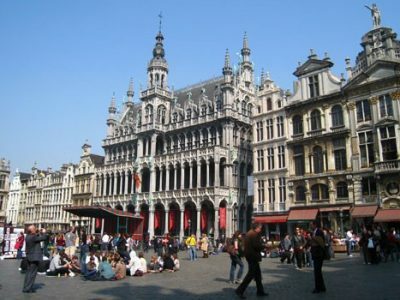 Next, proceed to Brussels to visit the world renowned Grand Place and the legendary Mannekin Pis statue. Drive past St. Michael’s Church, en route to Antwerp. A photo stop at the Atomium. Later, check into your hotel. Tonight, you will enjoy a choice of hot delicious Indian dinner OR a local meal arranged in the Indian restaurant. Onto Amsterdam – a city full of surprises. 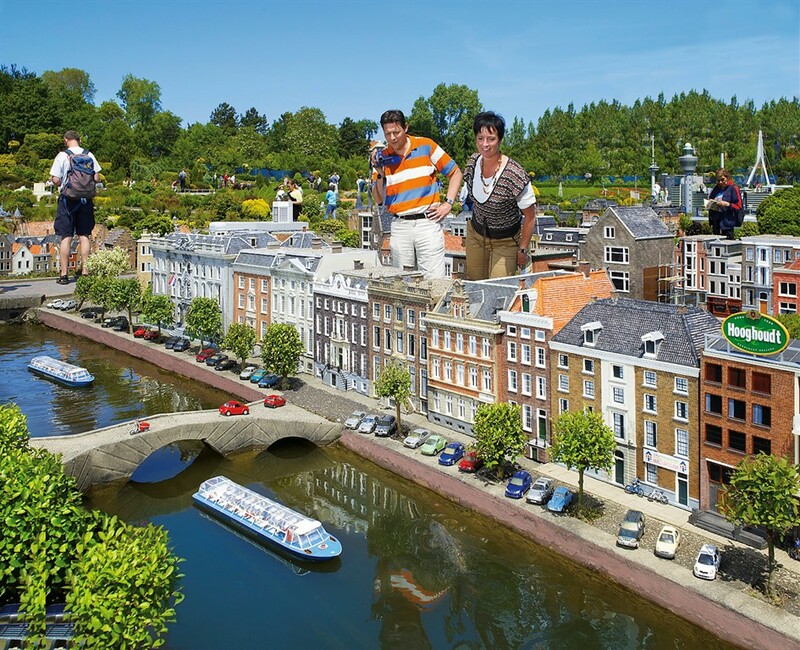 Visit Madurodam. Explore Amsterdam on an exciting canal cruise. After a buffet breakfast, sit back and relax in your coach as we proceed to visit a cheese farm and a wooden shoe factory. See a demonstration of how cheese is made and wooden shoes are carved out of wooden blocks. You also have a chance to savour some cheese on your own. Next, visit Madurodam, all throughout the year, where you can see most of Holland in miniature, replicated in minute detail on a 1:25 scale. Next, arrive into Amsterdam. Later board your glass-topped boat for an exciting canal cruise. Sail past the city with its 1,000 bridges and fine old houses on your tour of Amsterdam. Next, stop at a windmill – the most common sight in Holland for a photograph. Later, visit the famous Dam Square – the real heart of Amsterdam, where the Royal Palace, the Nieuwe Kerk, canal ring, civic Guard Gallery, Gassan Daimond Factory, Maltatuli Museum and the War Memorial overlooks this vast and bustling open space. Drive back to your hotel where a hot Indian dinner awaits you. 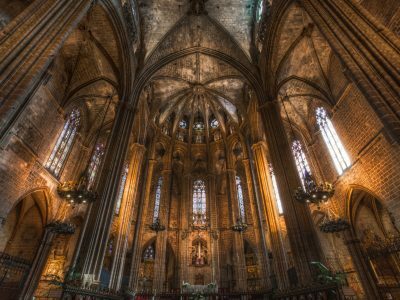 Visit Gothic Cathedral in Europe – the Cologne Cathedral. Enjoy a romantic cruise on the River Rhine. Next, visit Heidelberg Alstadt. After a buffet breakfast, check out and proceed to Cologne. On arrival visit the impressive Cologne Cathedral, a fine example of amazing Gothic architecture. Later we proceed to board your scenic cruise on the River Rhine. Cruising down the Rhine, you will pass steep slopes covered with vineyards. The River Rhine is one of Europe’s major navigable rivers. Later, board your coach again and drive to Heidelberg, situated on the banks of the river Neckar. On arrival stroll down Alstadt to get a feel of real European experience of the past. This evening, enjoy a sumptuous Indian dinner at a restaurant, before you drive to your hotel. 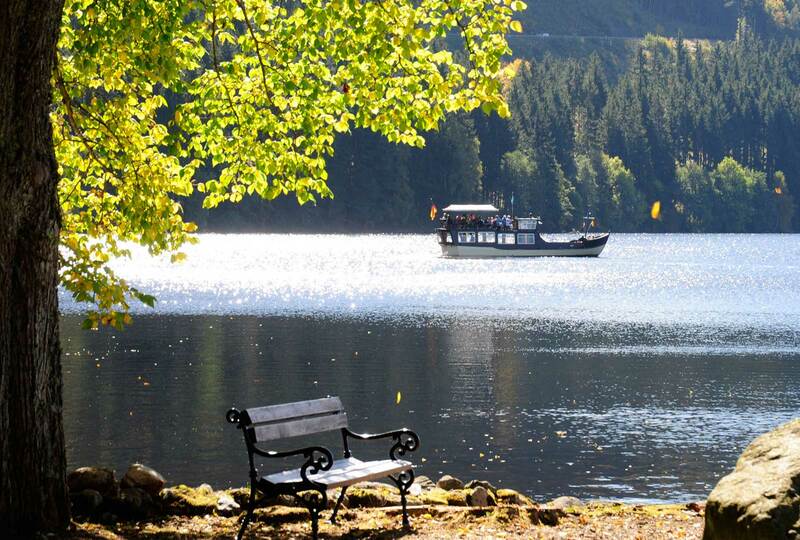 Onto Titisee– heart of the Black Forest. Enjoy a boat ride at the spectacular Rhine Falls in Schaffhausen. 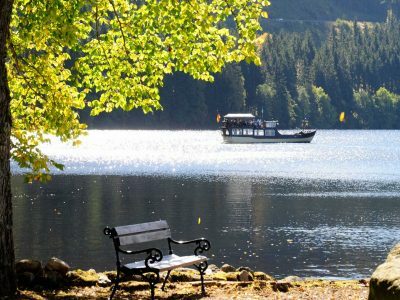 After a buffet breakfast at the hotel, check out, sit back and relax in your coach as we arrive at lake of Titisee. This is the heart of the Black Forest, surrounded by dark fir forests, fairy tale woods and flowering meadows. Here is ‘Drubba’, the home of the world-famous cuckoo clock. Get invited for a free demonstration and buy one for your home – a prized possession. Later, cross over into Switzerland and arrive into Schaffhausen. Here, enjoy the beautiful view of the Rhine falls, while enjoying a boat ride at the falls. 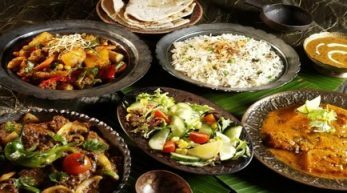 Tonight enjoy a delicious Indian dinner at a local restaurant. Day is at leisure OR you have a chance to Visit Mt. Jungfraujoch – the top of Europe – at 3,454 metres. 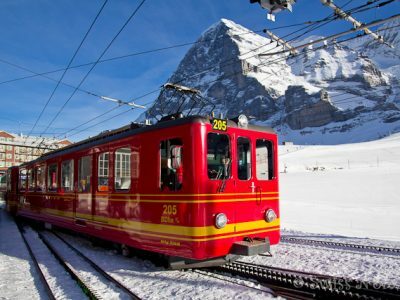 This morning, after a continental buffet breakfast, the day is at leisure OR you can join us on an adventurous ride to visit Jungfraujoch – The Top of Europe, for a memorable encounter with snow and ice – a genuine ‘high-point’ of your tour! Sit back in your coach as we proceed to the beautiful town of ‘Lauterbrunnen’, where the excitement continues. 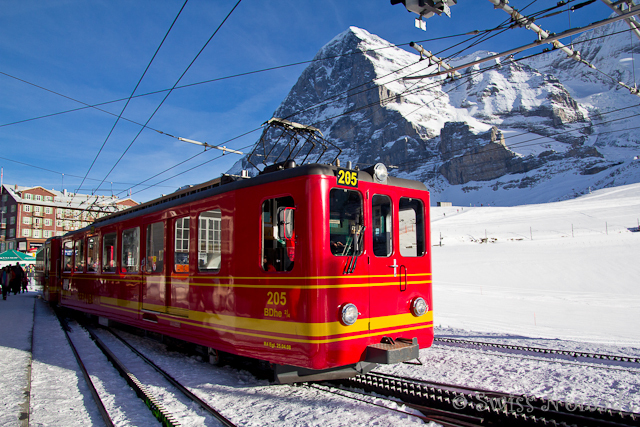 You will be amazed at the scenic splendor that you see from aboard the ‘cogwheel’ train, which takes you to a height of 3,454 meters to reach Jungfraujoch! This is a trip to another world – a wonderful world of eternal ice and snow. Experience the magic of the mountains and visit the Ice Palace on top of the longest glacier in the Alps. This evening enjoy a sumptuous Indian dinner. Overnight at Switzerland. Visit Mt. 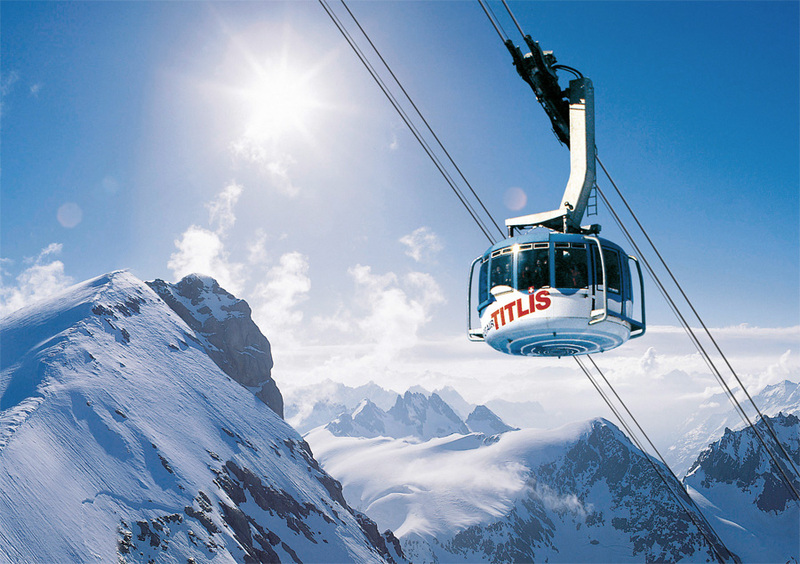 Titlis – with the world’s first revolving cable car. Enjoy a scenic cruise on Lake Lucerne. will visit the Lion Monument and the Kapell Brucke (wooden bridge), the Chapel Bridge and the water tower, Marching Band, Musegg wall and many more. Here you will also have some free time to shop for famous Swiss watches, knives and chocolates. Enjoy a scenic cruise on the serene waters of Lake Lucerne. Tonight, after a delicious Indian dinner return back to your hotel. 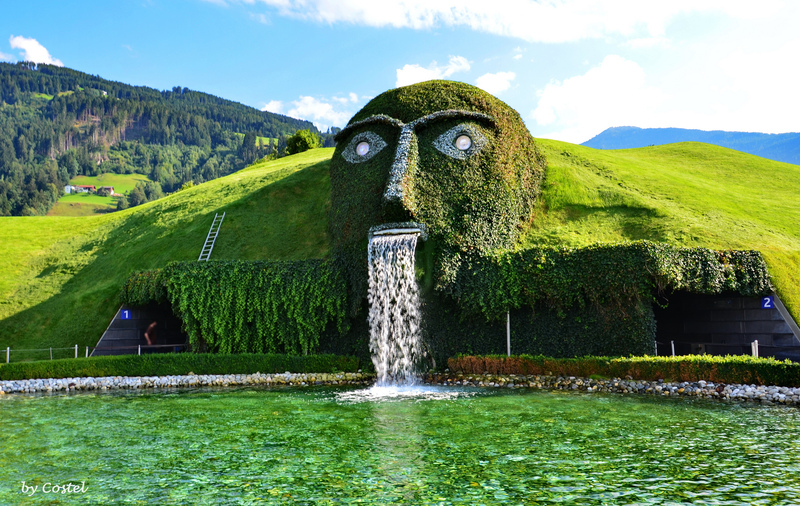 Visit the famous Swarovski Museum – the headquarters of crystals. 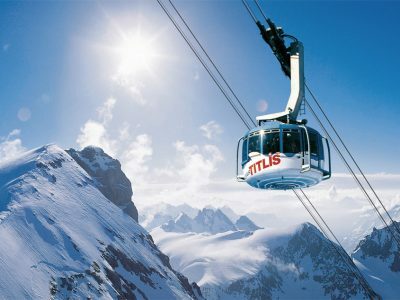 Proceed to Innsbruck, in picturesque Austria at the crossroads of Europe. This morning, after a buffet breakfast, check-out and proceed to Austria. 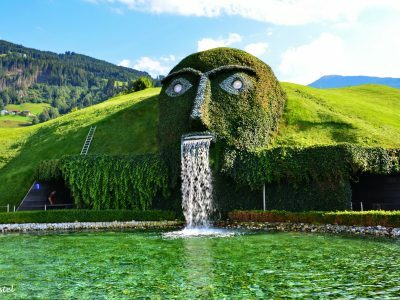 Visit the world-famous Swarovski Crystal Museum. Enjoy a fascinating experience in to the ‘world of crystals’. 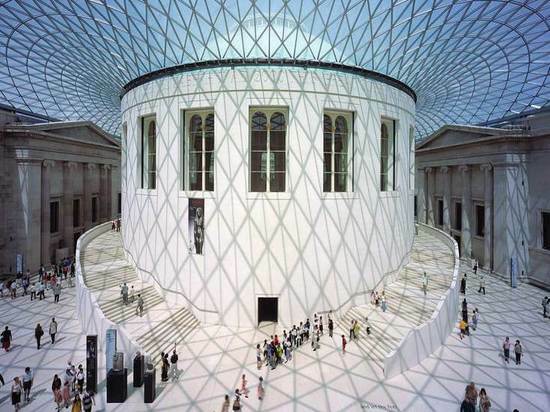 An experience that leaves you amazed at the dazzling glitter as you walk through this museum. Later, proceed to Innsbruck capital of Tyrol. On arrival, see the Golden Roof and the Maria Therese Strasse. Stroll on cobblestone pathways and get a feel of old-world European charm. This evening, you have a delicious Indian dinner prepared for you. Romantic Venice – crossed by canals, beautiful monuments, the city that inspires poetry and passion. Also Visit World famous gondola ride! Campanile and Bridge of Sighs. 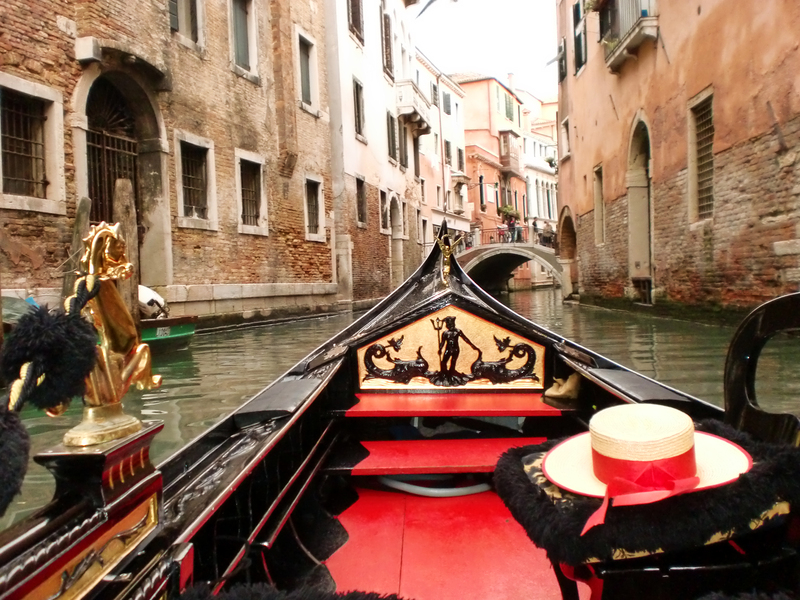 You will be taken on an unforgettable gondola ride through the smaller canals for a true picture of this lagoon city. Also visit the Murano Glass showroom. Return to the pier and continue on your journey towards Padova. Later, check into your hotel and relax. Tonight, we have arranged a delicious Indian buffet dinner. 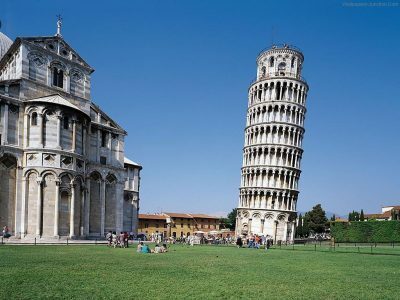 Pisa– The Leaning Tower of Pisa. Guided city tour of Florence. 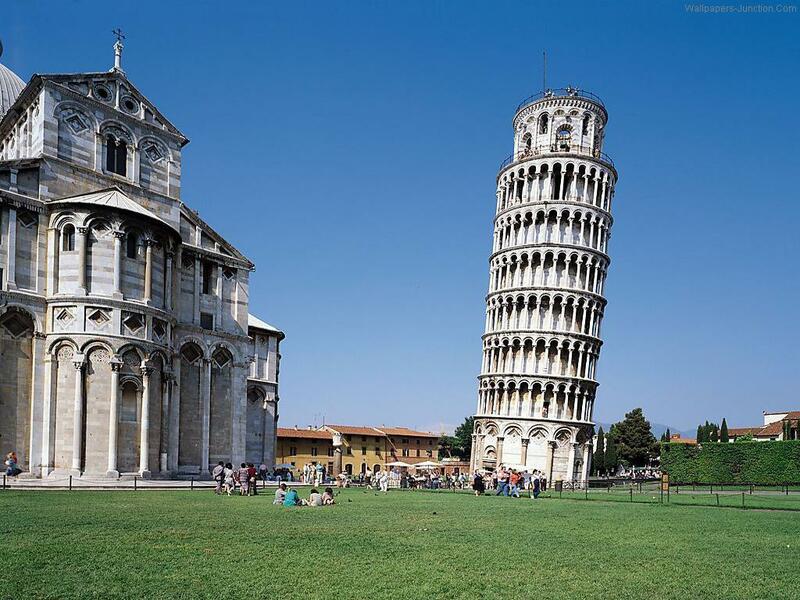 After a buffet breakfast at your hotel, check-out and proceed to Pisa to visit the Square of Miracles. Remain spellbound as you approach this precariously leaning tower. Photograph your family with the Leaning Tower in the backdrop. You also have some free time to shop. Next, proceed to Florence, the capital of Tuscany. Meet your English speaking local guide for a city tour of Florence, including the Duomo, the Campanile, the Baptistry with its Gates to Paradise, Piazza Della Signoria – an open-air museum of sculptures, the famous Ponte Vecchio – bridge across the river Arno and Santa Croce where Michelangelo, Galileo and many famous Italian personalities are buried. Drive to Piazzale Michelangelo, a square on top of a hill with its replica of the impressive statue of David and also get a bird’s eye view of the city of Florence. Later, check into your hotel and relax. Enjoy delicious dinner at the restaurant. Overnight at Pisa / Florence, Rome. 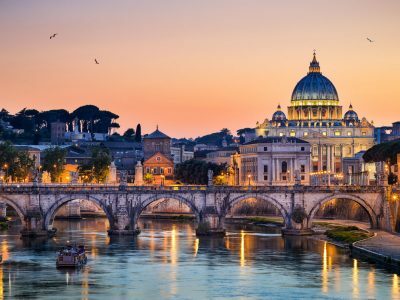 Visit the world’s smallest country – the Vatican City which includes the Vatican Museum, the Sistine Chapel and the magnificent St. Peter’s Basilica on the guided tour of Rome and Vatican City. Visit the Colosseum from outside. After a buffet breakfast this morning, check out of your hotel, board your deluxe air-conditioned coach and proceed to Rome. Later, meet your English speaking guide who will take you to the Vatican City – the smallest country in the world (shorts or sleeveless vests not allowed). 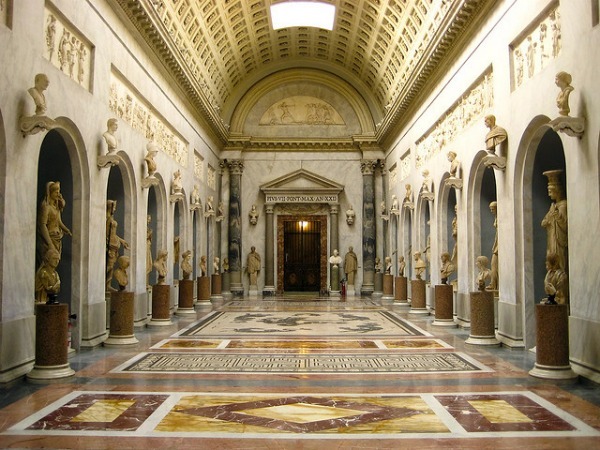 First visit at the Vatican Museum, with a visit to the world-famous Sistine Chapel – a pure source of inspiration for art lovers and tourists alike, specially included on your tour. 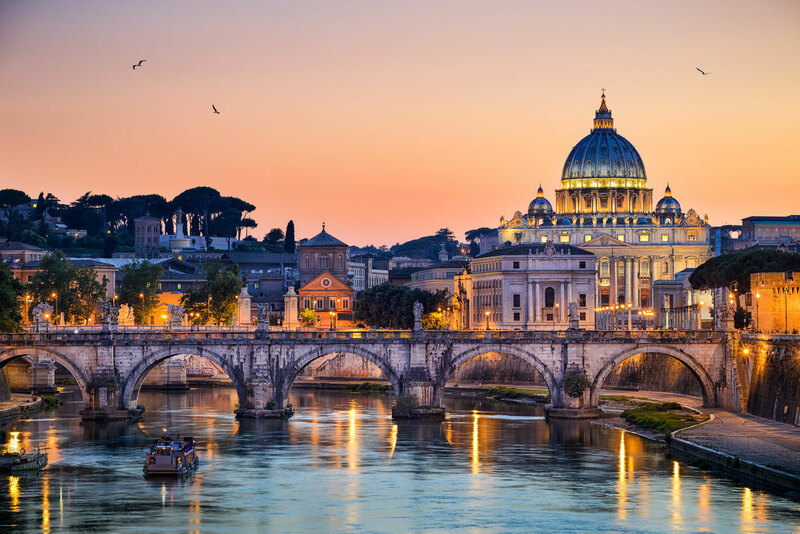 On arrival, you will be followed by a visit to the holy Basilica of St. Peter’s – the incomparable home of architectural and artistic masterpieces by Michelangelo and Bernini, which will leave you awestruck. Next, visit Colosseum from outside as it is a vast amphitheater, known for its gladiator fights. The tour of Rome is incomplete without visiting this 2000 year old stone ruin. Also see the Victor Emmanuel Monument, the Roman Forum and many more sights of this historic city. Tonight, we have arranged a farewell Indian dinner for all our guests. Your Europe Holiday ends today it’s time to fly back home. Before you bid good-bye to everyone, do exchange your social contacts with your newly acquired friends and extended family. 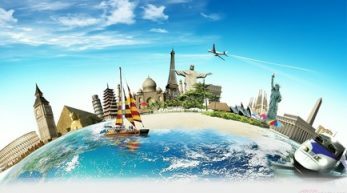 Stay connected with all of them through our Facebook Page and follow us, for exciting up to date information on www.Amazingholidaysblr.com. 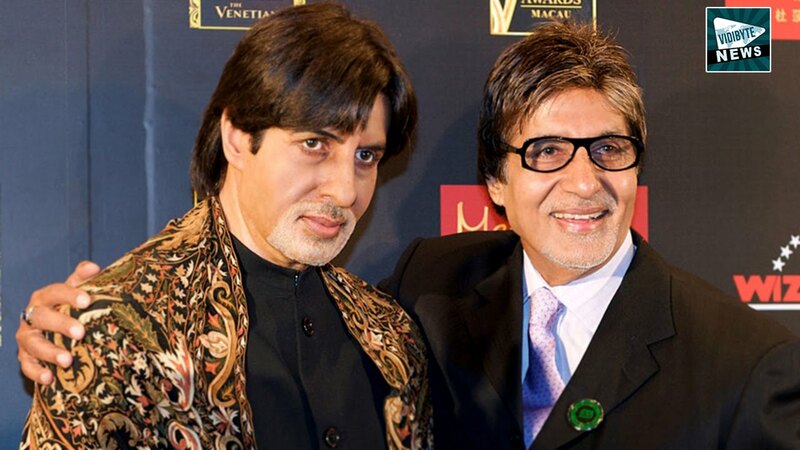 Accommodation on twin sharing basis in hotels mentioned in the itinerary or similar. All transfers & sightseeing in deluxe coach as per the itinerary. All entrances for monuments as per the itinerary. All Tolls and border taxes. Services of a Tour Leader throughout the tour. Tips and Gratuities to drivers and Guides. Any hike in the Airfare, Taxes, visa fees, border tax etc. In case of visa rejection. Visa fees have to be paid again for any subsequent application. 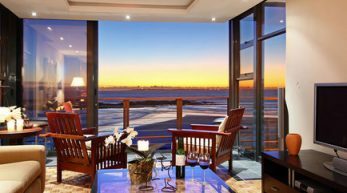 Any expenses of any personal nature such as laundry, mini bar, safe deposit vault or any beverages that is not part of the meal. Baggage allowances 20 kgs. Checked baggage & 5 kgs. Cabin baggage. No liquids / Gel / paste / battery cells or any other item that can be used as a weapon or detonator in Hand Baggage. Temperatures will be ranging from 10 to 29˚c in Italy. It would range from 3˚c to 25˚c in France. Please carry alight jumper/ Sweater, monkey cap, small umbrella. 50 % advance amountat the time of confirmation, balance amount before departure. Cancellation made between 20 days before departure 50% of the tour cost will be charged as penalty. Cancellation made between 15 days before departure, 80 % of the tour cost will be charged as penalty. In Case of visas rejection, no visas amount will be refunded back to the passengers. If you wish to travel in advance or deviate from the tour, additional charges will be applicable. 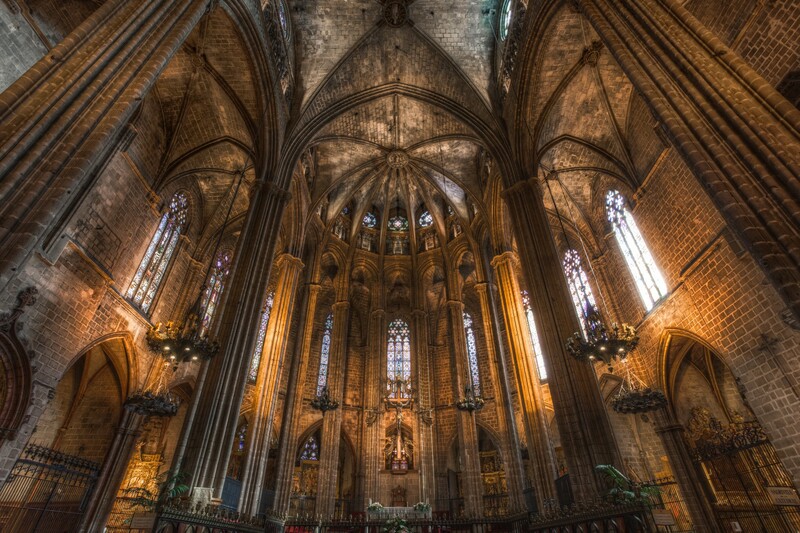 Passengers joining this tour directly must travel to / from their hub city on their own expense. Continental breakfasts will be served throughout the tour. Any damage caused to the hotel rooms or coach during the stay shall be payable by the passengers. Amazing Holidays will not be liable for the same. We reserve the right to amend, alter, vary or withdraw any particular departure, excursion advertised or substitute a hotel of similar class if deemed necessary. The cost of extension of validity of ticket is not included in Tour price. For the convenience of our passengers, we will sometimes amend the itinerary. However, all services will remain the same. The tour price is subject to increase without notice if the rate of exchange changes substantially prior to departure. Hotels mentioned are subject to availability. Passengers can board the tour from the hub city. Those boarding from any other city can do so, however all expenses to/ from the hub city is to be borne by the passengers. Certain departure dates will have surcharges applicable, please contact our local sales office for details. Standard check-in time for the hotels is 1400hrs while check-out is at 1200hrs. The management reserves the right to claim any additional expenses due to delay or changes in the schedule of trains, flights, coach, cruise or other services, weather conditions, strikes, war, quarantine and any other cause whatsoever and all such loss or expenses must be borne by the passenger. Amazing will not be liable in any loss of baggage by the Airline.